The Bundesliga is entering its 55th season shortly, and few campaigns will betray as much change from their predecessor than the coming season. For the first time in Bundesliga history, the referee will be able to call on a video assistant referee to assist in decision-making, giving every match officials extra support on the pitch. All 23 top-flight referees from last season will also serve as video assistant referees, including Dr Jochen Drees, Günter Perl and Wolfgang Stark, who called time on their active officiating careers at the end of the 2016/17 campaign after reaching the age limit of 47. It is not just the advent of new technology that marks the new campaign out, however. 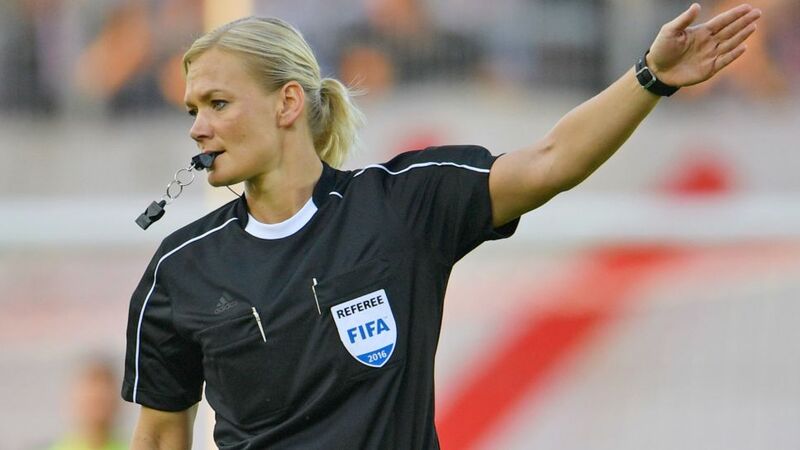 This season, Bibiana Steinhaus will become the first woman to referee in Germany’s top flight. An experienced official at the age of 38, she steps up to the Bundesliga after officiating 80 matches in Bundesliga 2 since 2007; her first top-flight game will be Hertha Berlin versus Werder Bremen on Matchday 3. For the first time in Germany, all clubs in the Bundesliga and Bundesliga 2 must ensure that each seat - or standing position - in the stadium is covered, meaning only the players will be rained on at matches from now on. Furthermore, clubs may also show matches in real time on big screens, parallel to the action playing out on the pitch. What time are we playing? Sunday’s second match will now begin at 18:00CEST/16:00GMT (instead of 17:30CEST/15:30GMT).A maximum of five games will be played on both Sunday at 13:30CEST/11:30GMT and Monday 21:30CEST/18:30GMT, in order to reduce the burden on clubs competing in the UEFA Europa League on the preceding Thursday.Finally, a club may now compete in Saturday’s top-billed match at 18:30CEST/16:30GMT a maximum of eight times, as opposed to six. In Bundesliga 2, from Matchday 3 onwards, only two games will be played on Friday instead of three. Consequently, Saturdays will have three matches instead of two. If a Bundesliga match is played on a Monday, there will be no Bundesliga 2 match on that day. Instead, that match will be moved to Sunday, when there will be four matches instead of the usual three. In 2017/18, two substitution boards will now be used in Germany’s top two tiers. As is the custom in international matches, a member of staff from each team will himself enter the shirt number of the player to be substituted and pass the board on to the fourth official when the substitution occurs. This will support the fourth official in being able to follow on-pitch proceedings more closely before a substitution takes place. Click here for the latest Bundesliga news and features!